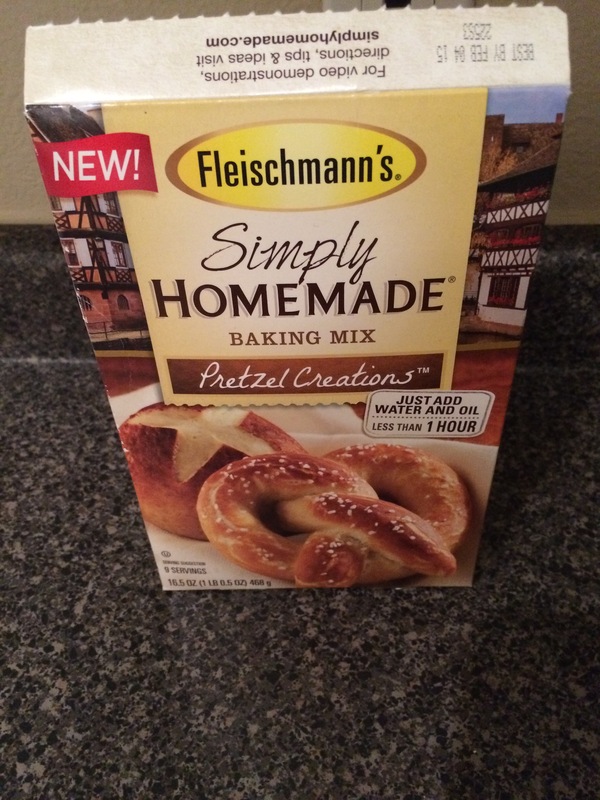 Last week, I cleaned out my pantry and found this Fleischmann’s pretzel-making kit. I’d bought this a looong time ago. Not really sure when. I know I brought it with us when we moved into this apartment, though, and that was almost 6 months ago! Woops. 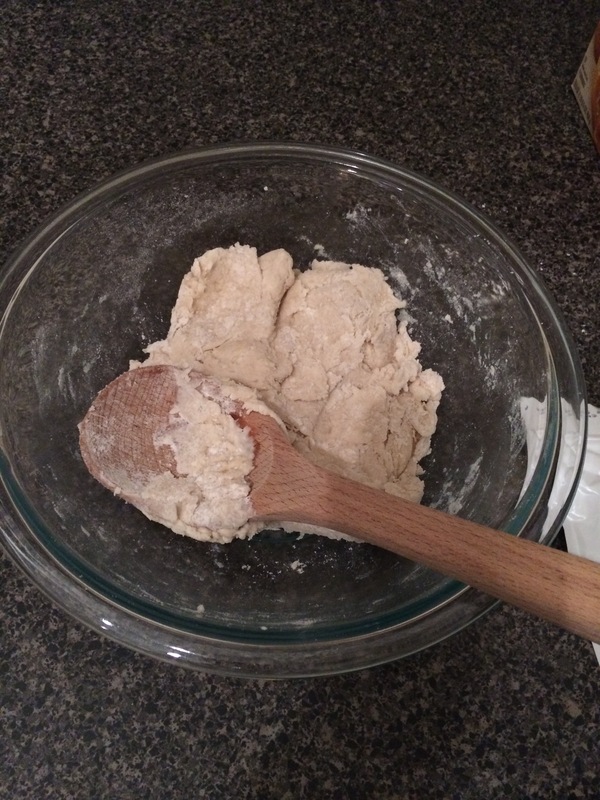 I’d originally gotten this because, while I was interested in trying to make pretzels (my husband LOVES them), I was a little afraid of making them completely from scratch. 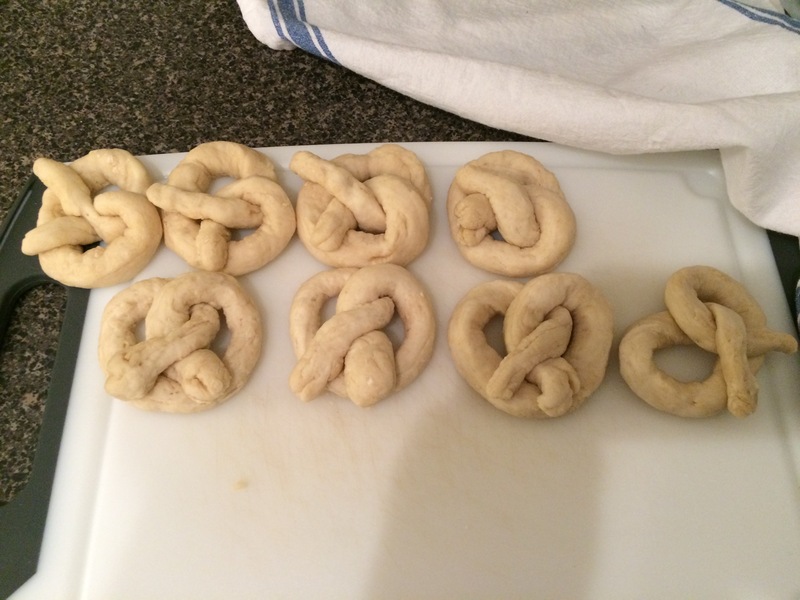 I’d never made pretzels before and assumed it would be difficult and/or complicated. For some reason the boiling step was worrying me. But when I saw that the expiration date on this kit was next month, I decided I ought to go ahead and use it up soon. Because I was still worried it would be a long, involved process (despite the claim on the box that it would take “less than one hour”), I decided to ask my husband if he’d help me with the project over the weekend. I wasn’t sure if he’d be into it and I didn’t want to be pushy, so I just sort of mentioned it in an email and left it at that. I was surprised when he brought it up a couple of times during the week, reminding me that we were making pretzels together over the weekend :). I think I’d failed to take into account just how much he loves soft pretzels! Ha, ha. 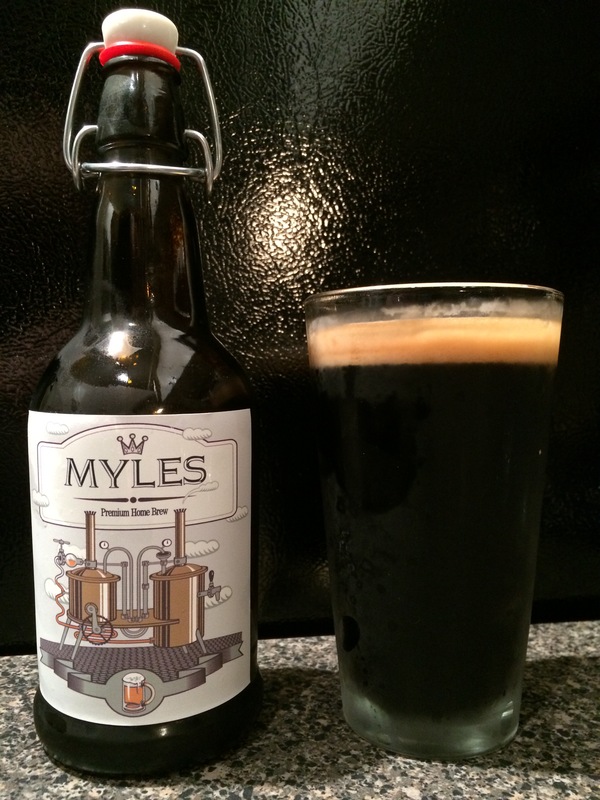 When Saturday rolled around, we popped open some of S’s latest home brew and got to work. 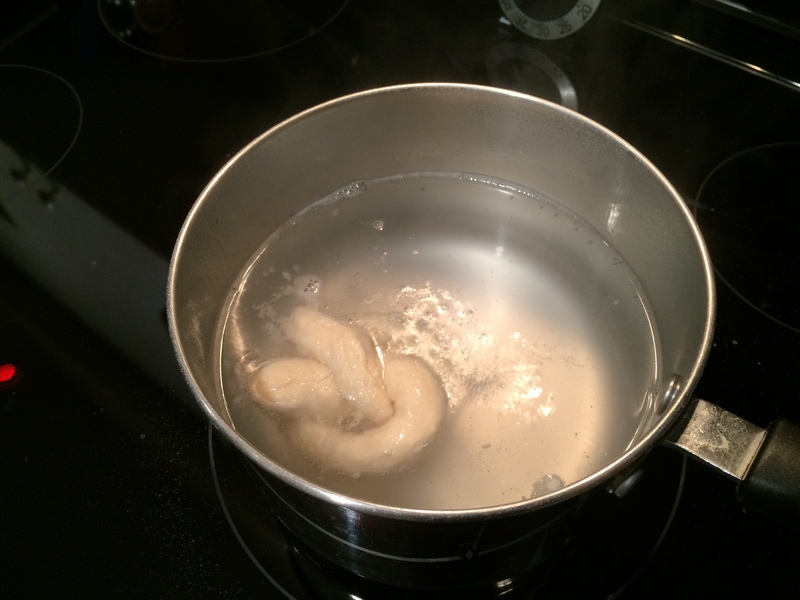 …including the boiling part I’d been so worried about. The only glitch came when I burned myself on a baking sheet (hmmm, maybe beer and baking don’t mix?). Our end product looked and tasted great, though. 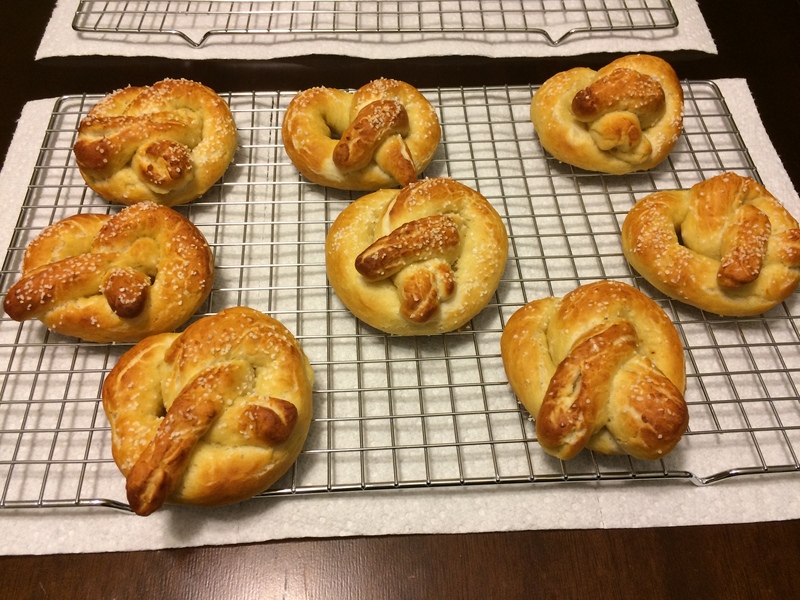 Next time I attempt pretzels (or pretzel buns, which I also love), I will probably make them from scratch, but the kit was definitely a good way to familiarize myself with the process. I do think having a partner helped a lot, too. For instance, S was able to take all of these great pictures while we both worked, something I often have trouble with when I’m making things on my own. Also, what can I say? It never hurts having a super-cute boy in the kitchen with you. I think I’m going to have to remember that and enlist his help more often ;). ← Learn to keep your wants simple.